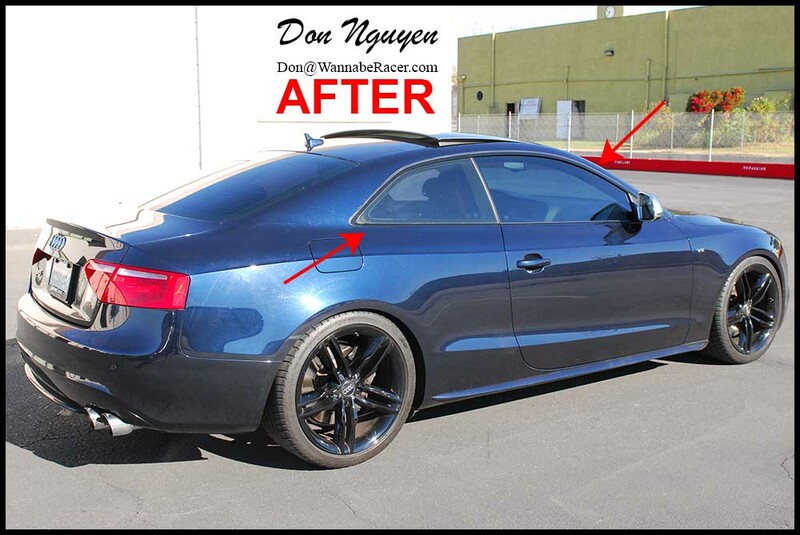 There are Audi owners who prefer chrome on their cars, but there are some Audi owners who would prefer to have the chrome / brushed aluminum window trims on their cars to be black instead. 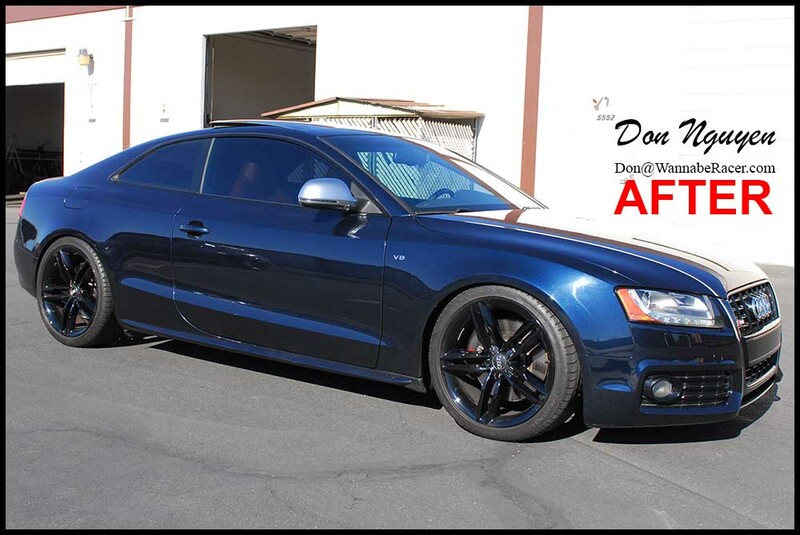 Luckily, there’s the option of vinyl, which is a fairly straight forward easy process to put on, but just as easy to remove or reverse the process if you ever decide to go back to the factory chrome window trim. 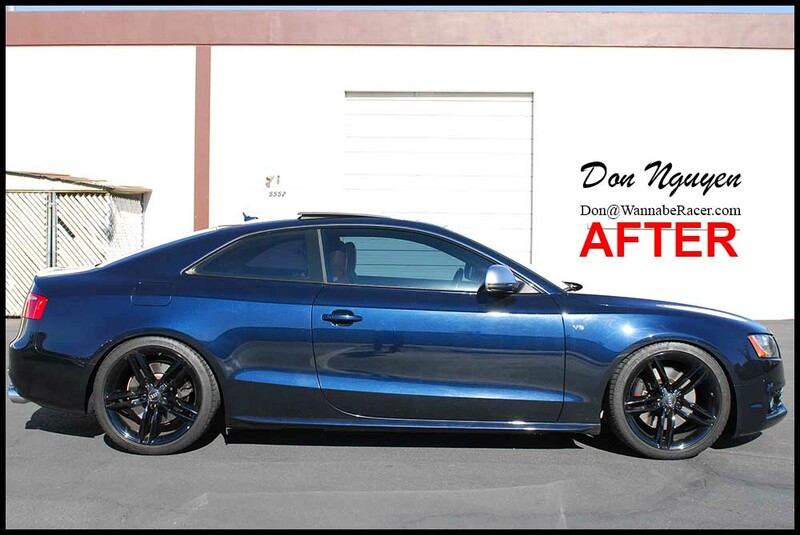 For this blue Audi S5 coupe, I went with my gloss black vinyl finish on the chrome window trim pieces, to give it a factory look and to also match the already gloss black wheels that the car had. From a distance, it is harder to tell in pictures if it is matte or gloss black, but in some of the pictures that are closer up, it becomes more noticeable. The owner of this car was from Corona and came out to me in Anaheim Hills / Orange County to have the vinyl car wrap work done.